Dozens of Egyptian security forces were mowed down in a clash with militants on Friday at some 135 km outside Cairo, near the Bahariya oasis in the country’s Western Desert. According to state figures, sixteen security forces, mainly police agents, were killed in the Friday clash, while media reports relying on security and medical sources say the death toll could rise up to 54. The interior ministry said an army convoy was caught up in an ambush while heading to a hideout where eight terrorists reportedly from the Hasm group were hiding. The Hasm group has claimed a number of attacks in the country. 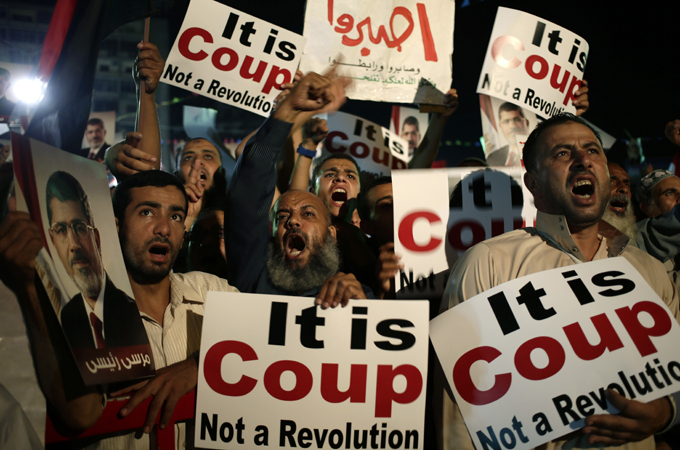 It is linked, according to the Egyptian state, to the outlawed Muslim Brotherhood. President al-Sisi during a cabinet meeting on Sunday vowed to crackdown on those responsible for the attack. “Egypt will continue its confrontation against terrorism and those financing and standing behind it, with strength, decisiveness and efficiency, until it’s curbed,” he said. Egyptian security forces have been facing militancy since 2013 following the overthrow of Islamist President Mohamed Morsi by al-Sisi. Most of attacks have taken place in the restive Sinai province even though militant attacks have also hit urban areas including capital Cairo. Posted by KanelkaTagba on Oct 23 2017. Filed under Headlines, World News. You can follow any responses to this entry through the RSS 2.0. Both comments and pings are currently closed.